Welcome to the "Kochalain", share stories, photos, memorabilia...meet some old and new friends. New York's Catskill Mountains were home to hundredths of bungalow colonies (cottage summer vacation communities), summer camps and small hotels. Also referred to as "The Borscht Belt" or "The Mountains" this popular vacation area attracted families who left the heat of the city for some fresh air and relaxation in "The Country". The Catskill's were a haven for Jewish families who had experienced exclusion and discrimination in other places. According toThe Catskill Institute by the 1950s over a million people spent their summers in New York's Catskill Mountain region. The Catskill Institute (affiliated with Brown University) states that bungalows, summer camps and small hotels, "shaped American Jewish culture, enabling Jews to become more American while at the same time introducing the American public to immigrant Jewish culture". Some bungalow colonies such as "The Four Season's Lodge" (featured in a recent documentary directed by Andrew Jacobs were vacation spots where once orphaned Holocaust survivors re-established life in America, marrying and developing life long social relationships with other survivors. Like many baby boomers, I fondly remember The Catskills. My grandparents along with my parents and later my siblings stayed in bungalows and hotels in such towns as Monticello, South Fallsburg, Loch Sheldrake, Kiamesha Lake etc. I can taste the rye bread and ice cold apple juice as I am writing this introduction. My sister met her husband in the Catskills when both were working at one of the hotels and most of my childhood memories center on "The Catskills". I still have mom's Mah Jongg set and plenty of decks of pinocle cards, relics from the "card rooms" that were staples in every colony. My drawers are filled with little plastic souvenir photo viewers (you remember these "scopes" ....tiny negatives would be illuminated in a viewer imprinted with the name of the hotel on the outside). Our photo albums are filled with pictures of our summer vacations in "The Mountains". The photo icon above is my mom (on the left) with her neighbor circa 1950s. Before I was born, my grandparents also spent summers in The Castskill, hiring a "hack" (private car) to shlepp them to "The Country". These cars were nothing fancy.....drivers would stuff people and suitcases in every inch of space in the car and make their way up to "The Mountains". The trip took forever! These old photos of the limos leaving for the Catskills are priceless. I hope that you will post your stories, memories, photos, videos, resources etc in this forum. Let's return to the Catskills and have some fun! What are you waiting for...tell your friends and family about this group. It's never too late to bring back The Catskills. Started by C. Dianne Zweig Editor's Desk Jan 8, 2016. Started by C. Dianne Zweig Editor's Desk Dec 3, 2013. Started by C. Dianne Zweig Editor's Desk. Last reply by Marisa Scheinfeld Nov 13, 2013. Started by C. Dianne Zweig Editor's Desk Nov 13, 2013. What Did You Love About Staying In Hotels Back In The Day In The Jewish Catskills? Started by C. Dianne Zweig Editor's Desk Nov 7, 2013. Started by C. Dianne Zweig Editor's Desk Aug 19, 2013. Started by C. Dianne Zweig Editor's Desk Jul 28, 2013. Started by C. Dianne Zweig Editor's Desk. Last reply by C. Dianne Zweig Editor's Desk Jan 31, 2012. Started by C. Dianne Zweig Editor's Desk Jul 10, 2011. Started by C. Dianne Zweig Editor's Desk. Last reply by LN Gail Jun 29, 2011. Started by C. Dianne Zweig Editor's Desk Apr 28, 2011. Started by C. Dianne Zweig Editor's Desk. Last reply by C. Dianne Zweig Editor's Desk Apr 28, 2011. Started by C. Dianne Zweig Editor's Desk Apr 21, 2011. Started by House of Charm Antiques Southinc Apr 21, 2011. You need to be a member of Catskill Mountain Collectibles And Memorabilia: The Borscht Belt Experience to add comments! Just wanted to share this Autumn Catskill Mt. card. Has anyone been to Black Lake? Postcard circa early 1960s. I Loved that video you shared Dianne. Thanks for adding these memories of the past. 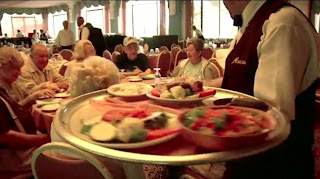 The Borscht Belt video, below, doesn't work. So I went and grabbed another link. Hope you don't mind. Does anyone have old photos of vacationing in Bungalow colonies?